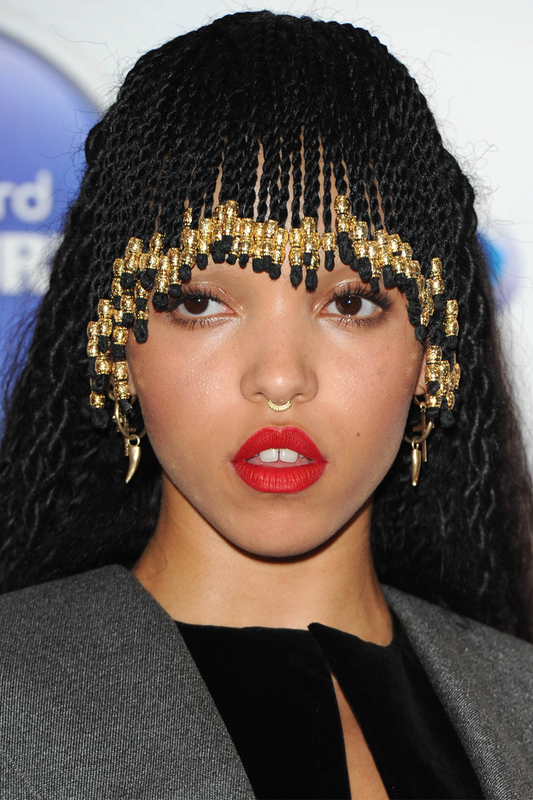 Yes, she has a hot boyfriend (namely one Robert Pattinson) but it's her incredible beauty choices that have us singing FKA Twig's praises of late. 1. She embraces her freckles, which is a lesson for us all. Although, we suspect the freckle pencil might be responsible for a few of those seen here. Whatever, we love them. 2. You thought Lady Gaga or Rihanna were adventurous with their hair? 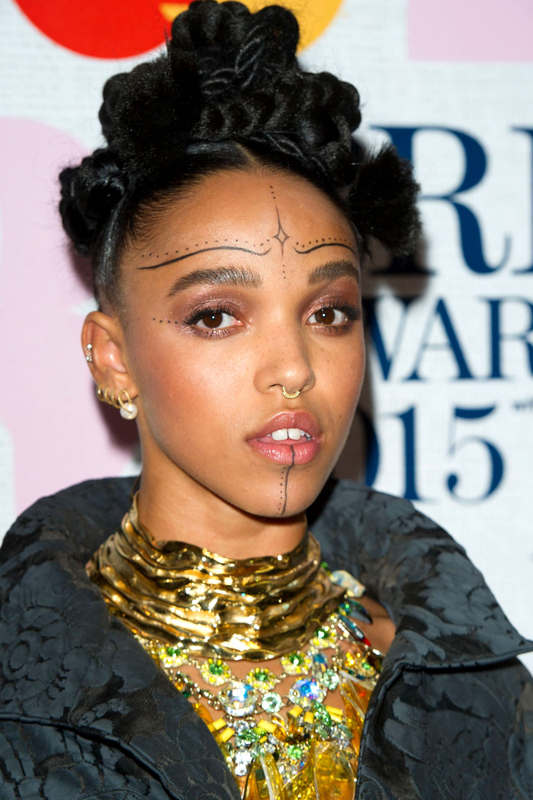 We’ll you’ve seen nothing until you’ve seen what Twigs can pull out of the bag when it comes to her hair. 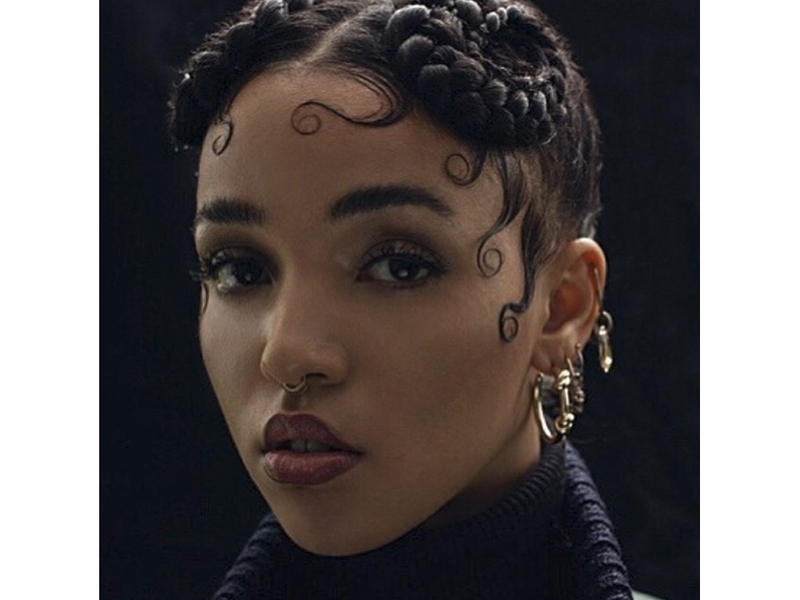 FKA Twigs’ usual stylist Soichi Inagaki goes to town with rope braids and cornrows and even created this incredible ‘love’ curl with Twigs for iD Magazine. We’re in awe. 3. 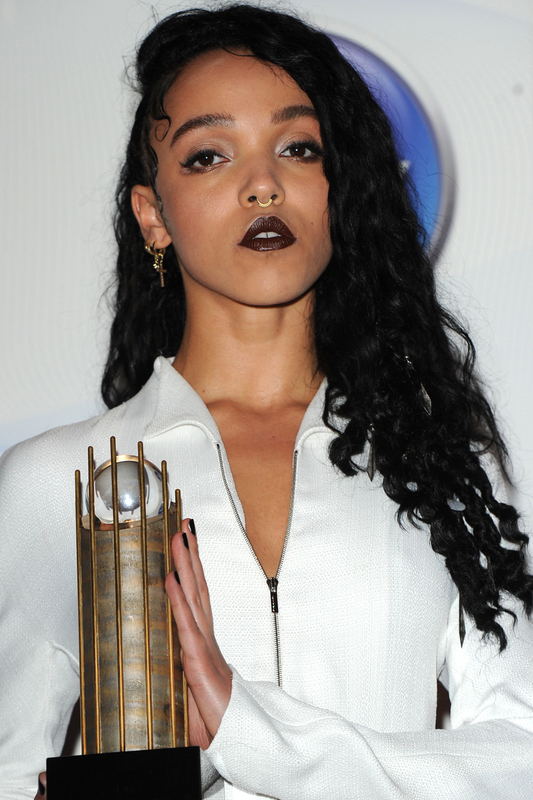 If FKA Twigs is wearing brown lipstick you know it’s making a comeback. With a lick of lipstick she brings the nineties and punk together. Nose ring, optional. 4. Well that’s one way to tame baby hairs. 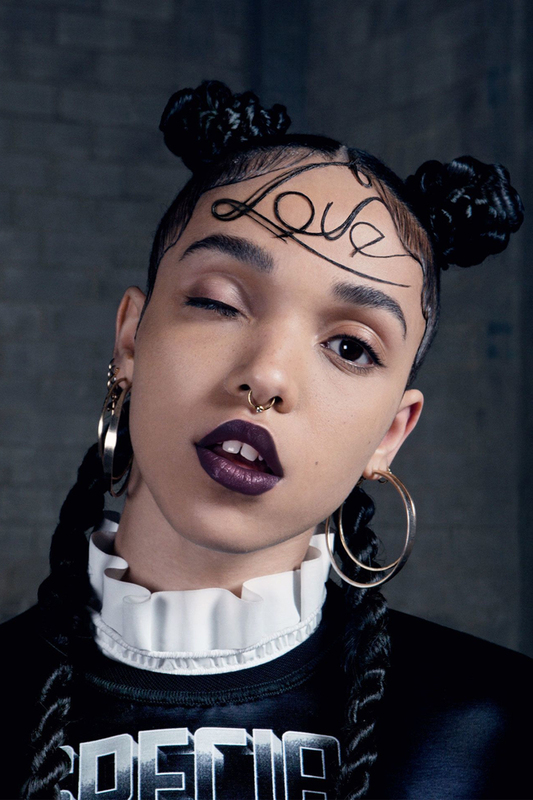 With FKA Twigs leading the way it’s a welcome return for ‘kiss curls’. We’re not entirely sure we could carry them off as effortlessly but we’re tempted to give them a go! 5. Twigs demonstrates the most modern way to wear a matte red lip; with glossy eyes and not much else in the way of make-up. Plus, would you just check out that hair! 6. Sometimes, when we see pictures of FKA Twigs, she puts us in the mind of Frida Kahlo and that can only ever be a good thing. 7. She looked like some kid of awesome bird of paradise at the opening of Alexander McQueen’s Savage Beauty exhibition at the Victoria & Albert museuam. She put even the most seasoned red carpet walkers to shame. Hail Twigs!